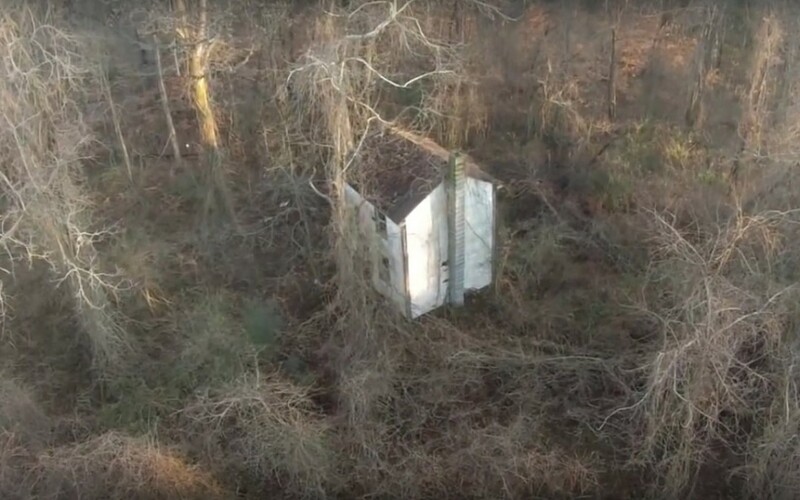 This incredible video captured the moment a man discovers abandoned house on his property! He purchased the woodland back in 2002, but only got the chance to explore it 11 years later. So he decided to send a camera drone over it to see exactly what he owns. He paid about 400 dollars for the woodland, which is a pretty good deal. He didn’t expect to find anything other than trees and the odd animal, but there was a large house in the center of the land. In the video, he joking says it looks exactly like the house in the Blair witch project, which would creepy me out enough to burn the whole place down. It appears to be a typical 1950s house, with it’s owner abandoning it an estimated 50 years ago. I would love to discover an old abandoned house on a scrap of land I purchased at auction, it would be interesting. I think the man even described it as a strange relic of time. It’s a fairly short video as the camera batteries were running low. Luckily, he explored the house further in two more videos. In this second video, he took a small camera with him and walked right up towards the house. The house is covered in overgrown plants and surrounded from junk from the past. It would take a great deal of time to refurbish the property. This video is quite chilling. He talked about how there was once a cemetery on the property, used by the man who lived next door. That man was apparently an undertaker. He was paid to bury the bodies by the government, but the state would not pay for the tombstones. So they graves were left unmarked – which just makes it more creepy! A couple of years later, he decided to return to the house. He recorded it again to share on his YouTube channel. In this third video he doesn’t explore the house, but he explores the history of the house by chatting to a local.